When I was living abroad in Spain back in college for my school’s study abroad program, I was not as comfortable living in a foreign country as my peers. Ok, to be honest, the reason I was not as comfortable was because my Spanish was not up to snuff whatsoever. So, when it came to eating and planning my meals, I did something that no foodie would ever try – eating the same meals over and over. That’s right – I literally mean every day. I would have cereal for breakfast, a tuna sandwich for lunch, and then a grilled cheese sandwich for dinner. Every. Single. Day. I did that for about the last two months of my stay in Spain and what I found was that eating the same meals over and over gets very hard to do, simply because you get sick of the food. Near the end of my “diet”, I could barely stomach the food. My body was literally trying to keep me from eating it. When I returned home from Spain, I felt kind of silly eating that way, especially after my first home cooked meal from my mom. But in reality, I still clearly saw the benefits to such a diet – shopping was simple, you could almost guarantee a consistent daily calorie intake, and along the same lines you could also maintain a healthy balance of nutrients. But how to actually make this work without wanting to throw up your food after a few weeks? This was the biggest question for me as I sought to maintain a healthy lifestyle without all the effort involved with planning and prepping new and exciting meals every day. The answer came to me when I finally started working in the real world a few years later! My realization happened just a few days into my job at a corporate office in Austin, TX. After skipping lunch one day, I was starving by 3 PM and needed something to eat. With the cafeteria closed and nothing to eat, I turned to the break room refrigerator to see if I could salvage anything there. And there I found it – a few pints of milk just waiting for me. I then realized that in addition to the free coffee that the company provided, they also provided things such as milk, not just for coffee but presumably for those who wanted to eat cereal in the mornings. I grabbed a mug and poured myself a tall glass and quickly became satiated. In fact, I felt more than full enough to last until dinner that evening. I realized that drinking milk would not make me sick in the same way that other foods would for one reason – it was a liquid. 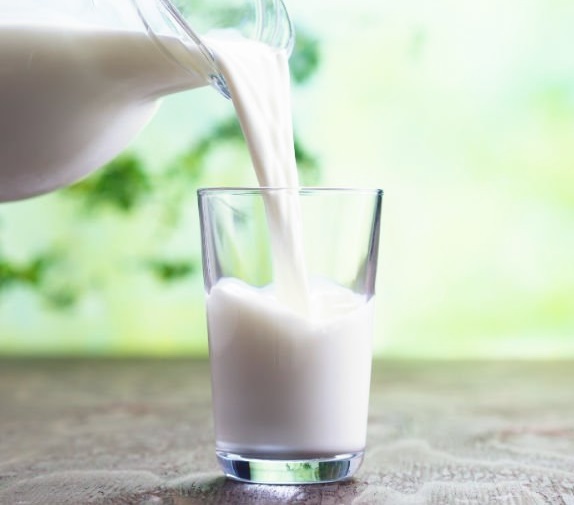 No matter how often you drink milk, or any liquid for that matter, your body is physically unable to reject liquid like it can for physical food. This means you can never get “sick” of liquid diets! A few days later, I took a closer look at the milk carton at work and came to an even more fulfilling realization – milk provides a great balance of carbs, protein and fat! Especially if you go with milk that has a moderate fat content like 1%. And then my final realization came even sooner – the milk was entirely free! I suddenly saw that this company-free milk fulfilled all of my requirements for a “great” single -meal diet. It was simple, free, consistent, healthy, and something that I could physically stomach day in and day out! I took on this diet for nearly a year before I began dating again, at which point I slowly got away from an all-milk diet in favor of traditional (varied) meals. But I am still of firm belief that these diets work very well for people who are committed to using them. The reason being is not just the diet itself, but the way it simplifies your life as a whole. If you are lucky like me, you can have milk available for free at your workplace. But even if you aren’t as lucky, you can still easily get it at the grocery store without thinking twice saving you time shopping and time at home by not having to cook new meals every day. So if you want to try such a diet out, I highly recommend it. And for those who have more sensitive stomachs or are pickier about what they put into your body, simply change the liquid. The simplest way to do that is to make smoothies that suit your dietary needs and that also taste good to you. You can select yummy fruit smoothies, healthy vegetable smoothies, or even smoothies that give you plenty of protein for those who particularly live an active lifestyle! Plus making smoothies is still a really simple process – just add the ingredients to a blender and blend! One small word of warning though: In using an all liquid diet, you need to be ready for the inevitable changes it will have on your bowel movements. Instead of a typical bowel movement that is typically more solid, you should expect something that is much liquid than solid. This isn’t to say that you will be having diarrhea, but rather that your poop will be more slush-like than normal. Also note that only the texture of your poop should change significantly, and not the frequency or lengths of your poops. This is really the only physical change that you can tangibly notice when taking on an all liquid diet. And based on all of the potential benefits of such a diet, it is totally worth it. Liquid diets are admittedly not for everyone. But if you can be committed to them for the long haul, they simplify your life so much. No longer do you have to worry about your next meal or spend extended hours in the supermarket looking for new ingredients each and every week. To put it simply, the liquid diet gives you more time to just live your life! So if you are willing and ready to try this amazing life hack for yourself, then my last piece of advice for you is to simply get started today!